Heya everyone! Before we get onto the subject of these very beautiful 12 ladies, we want to thank you (yes you reading!) a massive THANK YOU on 1,300 pageviews! It's an amazing thing for us because we just started out early on this year and to be honest we didn't think people would actually want to read our blog! And thank you to our 5 lovely followers who have taken the time to follow! 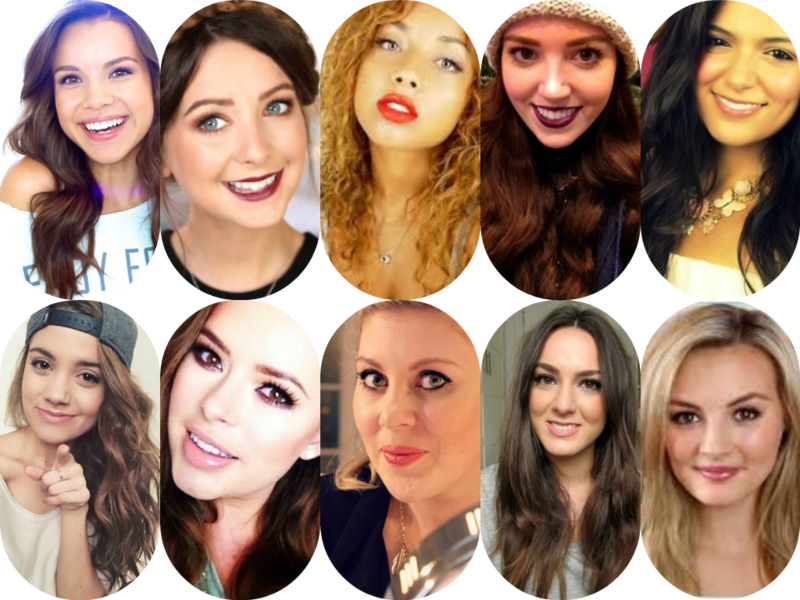 My absolute favorite out out these 10 beauty vloggers... Zoe! She's bubbly and kind and likeable! Not to mention her makeup and hair is always on point. Her vlogs are so enjoyable and I can't wait for Vlogmas! And attention all fangirls but isn't Zoe launching her new beauty range soon? We can't wait!!! Everybody loves Tanya Burr's cutesy manner and she has a real talent for makeup! Her tutorials are easy to follow and definitely the kind of pick-me up you need at the end of a long day! Her videos consist of DIY projects, hair, makeup, fashion and everything inbetween! She never fails to put a smile on our faces. Since making her Youtube Channel in 2009, she has launched her own fashion line, her own bedroom range and gone on multiple tours and meets her fans which she calls "Motavators." What a cute name for a fanbase! After lurking in the backround of many of the British Youtubers' vlogs, Niomi Smart finally started a Youtube channel early on this year.After 6 months and 28 videos later, Niomi has gained a phenomenal 785,300thousand subscribers! She uploads fashion and beauty videos and we predict she will be very big in the future! Quirky, cute and glamourous- 3 words we would use to describe "Miss Glamourazzi" better known as Ingrid. In this post I am going to talk about all the different products I like to use when I have a pamper evening! "Pamper evening you say? Why what on Earth is that?" Well my friends, if you've had a really busy or hard day and you've come home feeling rubbish and lazy then you just want to relax or if you just want some "me" time. When you just want a couple of hours to yourself and completely relax! I often have pamper evenings once a week and its now part of my weekly routine. Firstly I like to start everything by getting into my pyjamas and listen to some music (or more likely, watching youtubers) whilst my bath is running. Baths are just perfect for relaxing especially when the candles are on the lights are dimmed and its just you and nobody can disrupt you! Now I know some of you are shower people and would rather take a nice shower so go ahead! 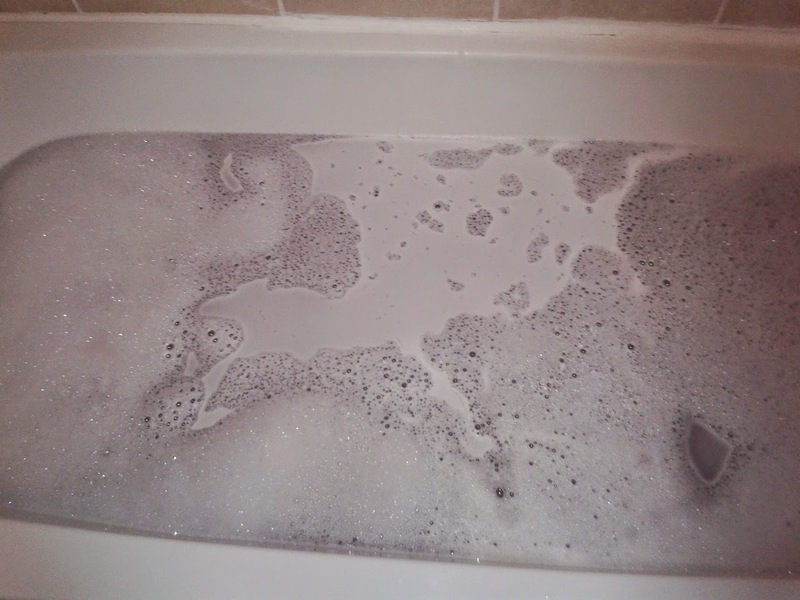 Personally, I am a bit in between because I can be so lazy in that I won't be bothered to wait for the bath to fill up! But having said that baths are very therapeutic and more effective for relaxing. Once my bath was full (not to the top!!!) I poured some of my Ted Baker Bath Foam in followed by my Space Girl Lush bath ballistic bomb. And can I say wow it looked pretty amazing! I lighted some candles to set the mood. Before I got into the bath I got my simple face cleansing face wash and applied it to my face to get rid of any makeup and to open up my pores. In the bath, I used the Ted Baker body scrub which has a very refreshing smell. 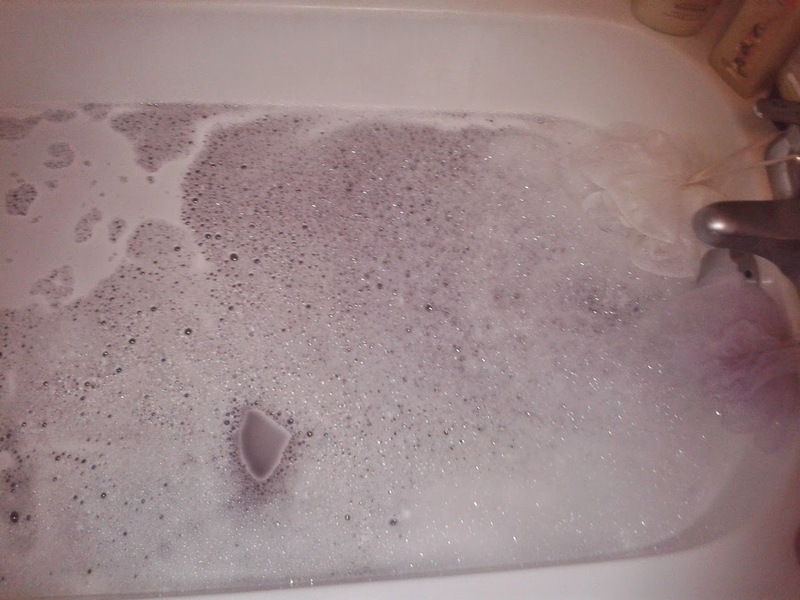 So by this time I was completely chilled out with my candles lit, my body scrubbed and the bath smelling AMAZING! I would usually read my book in the bath but as it was summer holidays I tend to get very lazy so I don’t read so I pulled out my tablet (Samsung Galaxy Tab 2, 10”). The last thing you want is to drop it in the bath so I suggest that you use it over the side of the bathtub. Recently I have been quite addicted to Kim Kardash Hollywood... Don’t judge! I think I’m on the C list right now. Not bad you’re thinking to yourself hehe. Once you’re done I would usually drain the bath whilst standing in the bath with the shower on to shampoo your hair. Basically just having a normal shower but standing in the bath! I tend to change my shampoo and conditioner quite a lot but today I’m used the Alberto Balsam in Sun Kissed Raspberry. Very good for making your hair smell nice and lush. After my quick hair wash I applied the Moroccan argan oil hair mask all over from root to tip on towel dried my hair. I evenly spread the passion fruit body butter (from body shop) all over my body and the smells are just to die for (not literally). I recommend the passion fruit body butter because of the heavenly smell! After 10 minutes I washed out the hair mask over the bath and it was face mask time! Woo hoo! No Pamper evening would be complete with one of these bad boy face masks! I used the Montagne Jenesse Manuka Honey peel off and left it on for 20 minutes and in the meantime I listened to Ariana Grande’s amazing new amazing album My Everything which I am pretty addicted to right now and go have a listen to it! 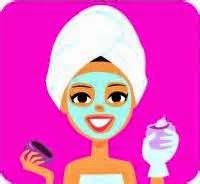 I hope you enjoyed my pamper evening routine! comment if you enjoyed this post and your pamper evening essential products. I will see you soon! Bye!